Enjoy a taste of Spain in the Caribbean. 7 days a week, lunch & supper, 11am - 9:45pm. Amalia Café is a delightful open-air restaurant owned and operated by Randolph and Helga Maynard. Located in the cobblestone Palm Passage, this Spanish meson serves a varied selection of Spanish favorites and augmented by daily tapas and entrée specials. 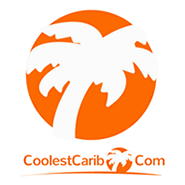 We're a proud member of CoolestCarib.Com Caribbean Directory. They started in St. Thomas, but seem to have grown wings.